[Simon] wrote in to tell us about a headphone tube amp that he just built. 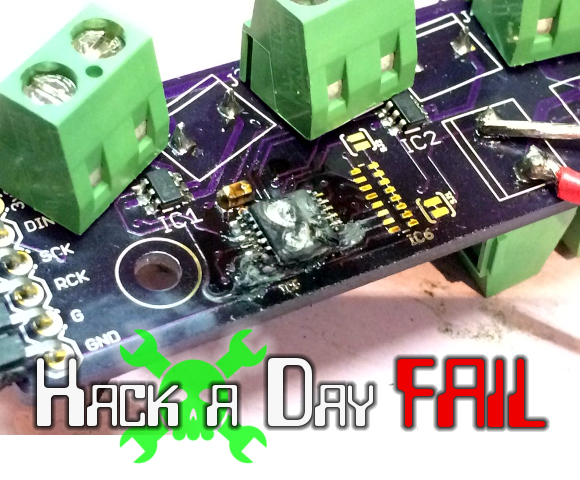 It is based on schematics at diyaudioprojects.com that were actually featured on Hackaday in the past. [Simon’s] design adds an on board regulated power supply and a volume control for the input. Effort was made to keep the PCB single sided to facilitate making this at home. The 12AU7 is popular due to its ruggedness and tolerance for low operational voltages. This amp design uses a plate voltage of 12, although the 12AU7 can handle up to about 330. Since the 12AU7 is of the Twin Triode variety, one tube can be used to amplify both a left and right audio channel. The case for the amplifier is laser cut plywood. The top piece is kerfed so that it can bend around the radii of the front and rear panels. The top also has a hole cut in it to allow the tube to peek out through.The pieces look nice but, unfortunately, he doesn’t show the case and amp in an assembled state. If you’re interested in building one of these, [Simon] made all of the Eagle and Case files available. The total cost of the project was £25, about $43 US. To learn more about how tube amplifiers work, check out this Retrotechtacular from earlier in the year. Astronaut or Not — Voter Lottery Tomorrow! Fair warning, if you haven’t voted on Astronaut or Not you may come up short tomorrow. [Brian] will once again draw a random hacker number at 10am EDT (GMT -4). If that hacker has voted in this round (we’re still in the first round of voting) they will win this fabulous oscilloscope. If they haven’t voted… no fancy scope for you! We’re hoping to close this round of voting early next week at which time we’ll award prizes to the projects that received the most votes and start another round with a different theme. Here’s a great example of thinking big while keeping it simple. 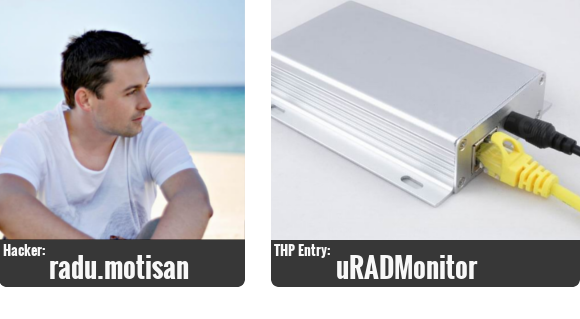 [Radu Motisan‘s] putting together a global radiation monitoring network as his entry in The Hackaday Prize. The simplicity comes in the silver box pictured above. This houses the Geiger tube which measures radiation levels. The box does three things: hangs on a wall somewhere, plugs into Ethernet and power, and reports measurements so that the data can be combined with info from all other functioning units. After seeing the idea we wanted to know more about [Radu]. His answers to our slate of queries are found below.